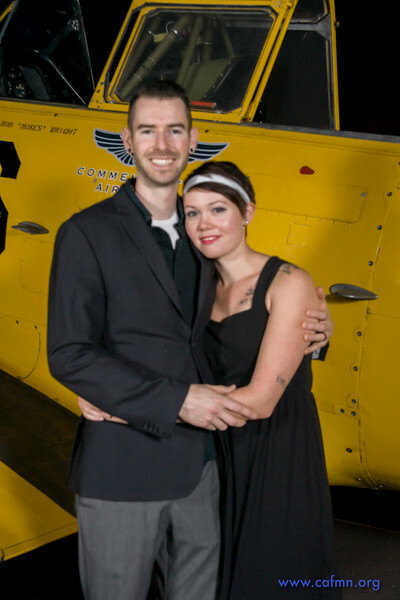 The Commemorative Air Force Minnesota Wing would like to thank everyone for joining us at our 2015 Fall Bomber's Moon Hangar Dance. The weather was perfect, the music was hot, and the beer was cold! All of photos have been posted! I would like to apologize for the quality of some of the photos which are out of focus--one of the challenges of photographing in the dark is ensuring proper focus. You may download the photos for free. Simply right-click on the image or on the "download" button below and to the right of the image you want to download. Click on the "Share" button (bottom right of photo) to share the image on social media. You may also purchase prints and other merchandise--just click on the "BUY PHOTOS" button. If you have questions about the photos, please use the "contact" button at the page bottom to communicate with us. Learn more about the Commemorative Air Force Minnesota Wing at their website.